New York Excelsior took down Houston Outlaws earlier today. Kim “Pine” Do-hyun may have only played a single map in New York Excelsior’s 3-1 win over the Houston Outlaws, but he stole the show. The McCree specialist only gets in the lineup on Control maps, but he’s made the most of it, stealing the hearts of the crowd with his endearing smile, flashy pink hair, perfect dabs, and quick trigger. Two days ago, Pine subbed in on Ilios against Boston Uprising and embarrassed them. He did it again today. Related: What makes Pine’s McCree play so good? The Outlaws opened the series with a solid win on Junkertown before New York stormed back to take Anubis. Next came the Control map Ilios, a pivotal map in a tied series. Both teams made substitutions. The Excelsior brought in Pine, while Outlaws pulled out their Tracer specialist Matt “Clockwork” Diaz. Both teams ran mirror compositions on the first two points, but only one team won a round. Pine’s clutch McCree proved the difference on Well and his Widowmaker was even better than Outlaws’ Jiri “Linkzr” Masslin’s own world-class showing with that hero on Ruins. It was a repeat of his stellar performance on McCree against Boston Uprising on day two this week. The Outlaws never even knew what hit them. Pine has only played two maps this season, but he’s carried in both of them, and New York’s dominance on Control has made them formidable through week one of the OWL. This match perfectly showcased the value of the bench, one of the Overwatch League’s novel features. Pine may have only played two maps so far this season, but his incredible play on McCree and Widowmaker has so far made Excelsior nearly unbeatable on Control, making them a dangerous foe in any series. 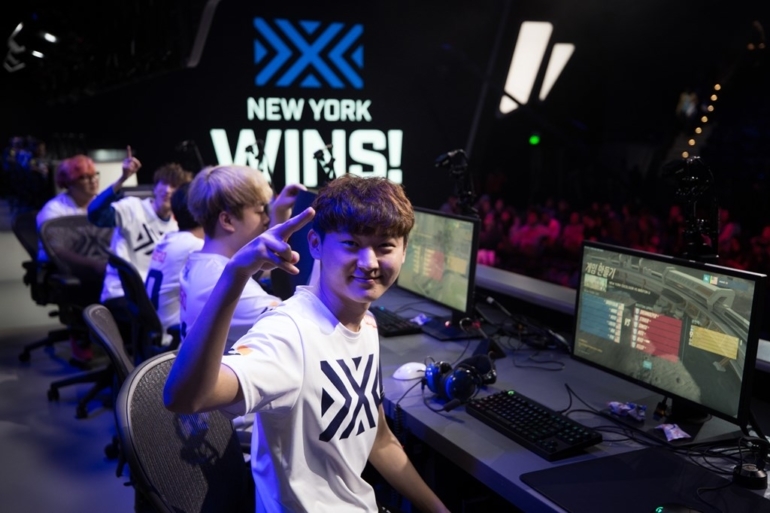 Perhaps New York would be better served with Pine in the lineup full-time, but Park “Saebyolbe” Jong-yeol’s unique ability to shut down enemy Tracers with his own Tracer and Kim “Libero” Hye-sung’s strong performance on projectile heroes like Genji and Pharah makes it hard to get Pine’s McCree in the lineup. But don’t be fooled: Pine may start on the bench, but even that won’t stop him.